The Woodleigh Residences is part of a new residential and commercial mixed development is coming up along Upper Serangoon Road in Bidadari Estate. SPH and Kajima Development have emerged as top bidder for the 99-year-leasehold 25,440 sqm site. They offered S$1.132 billion, which works out to S$1,181 per square foot per plot ratio. The closely fought tender received 12 bids in total. The site will yield 680 homes (The Woodleigh Residences) and almost 28,000 sq m of retail gross floor area (The Woodleigh Mall). 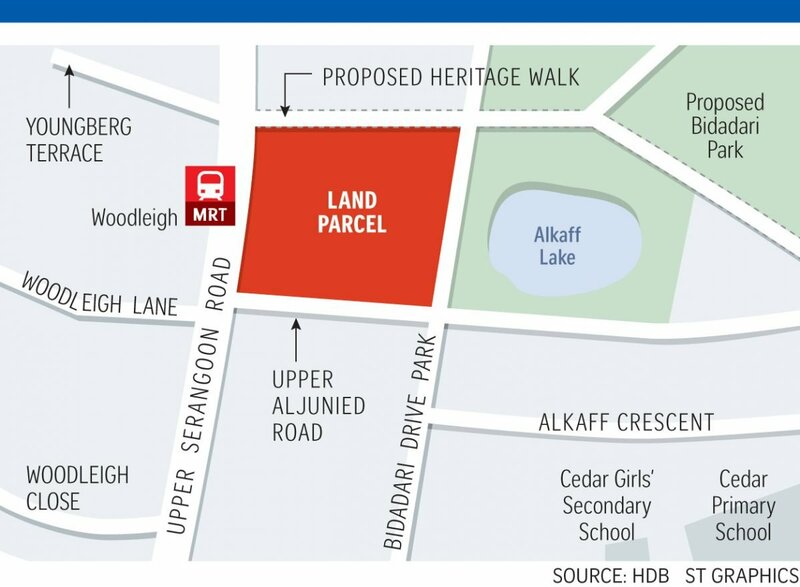 It sits just next to Woodleigh MRT station, flanked by Alkaff Lake and Bidadari Park. 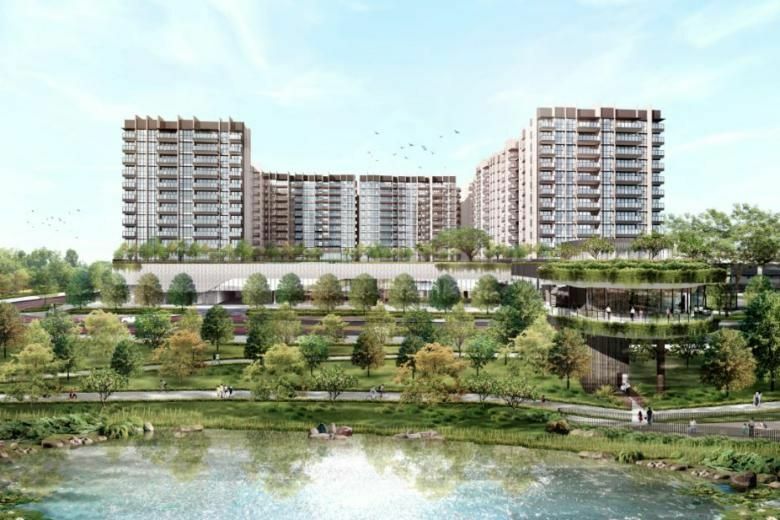 Residents will enjoy scenic views over the lake and Bidadari Heritage Walk. Units types for the condo will range from 2- to 4-bedrooms. In addition to the condo and mall, SPH/Kajima will build a 65,000 sqft community club, a 20,000 sqft neighbourhood police centre, a commercial bridge towards Bidadari Park and an underpass to connect to an integrated bus interchange. This will be Singapore’s first air-conditioned basement bus interchange, where commuters can wait for buses in comfort. The launch is targeted for September 2018. For details please contact Benson at 83187083. You may also read more about the upcoming condo across the road,Park Colonial, as well as developments in Bidadari Estate.